Every property requires different spring clean up services. We tailor our services to suit your needs. 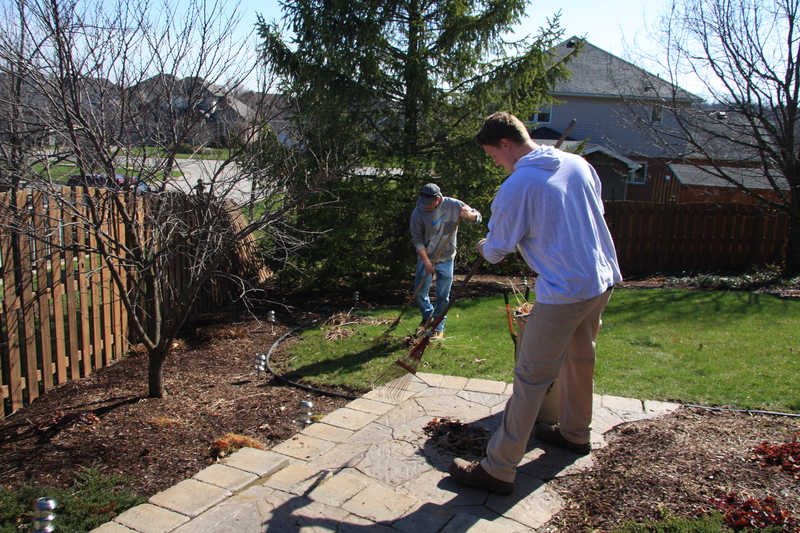 Our clean up services include removal of garbage, leaves, twigs, branches from lawns and gardens. 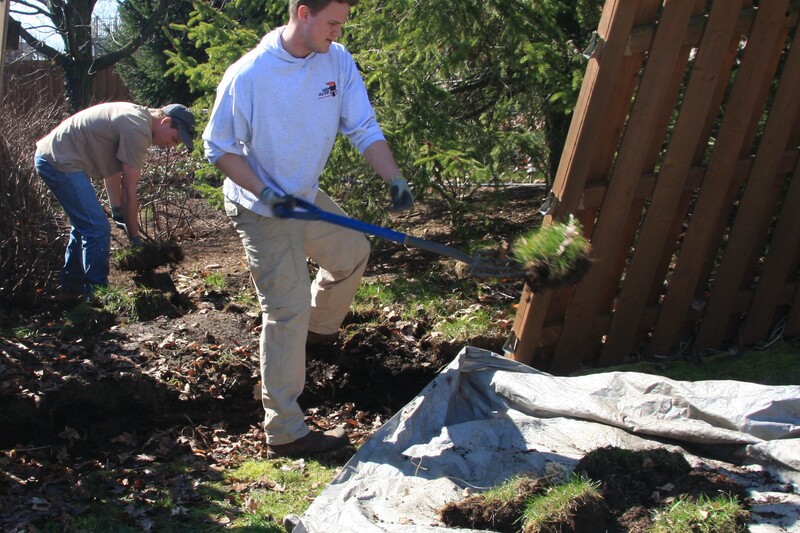 We cut back and remove dead perennials, grasses and plants from gardens and rake or power rake your lawn and will also clean your eavestroughs. 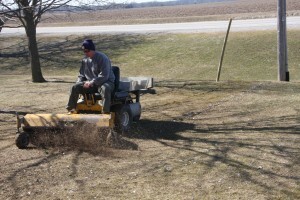 We remove gravel and stones off lawn with power sweeper and paddle brooms. 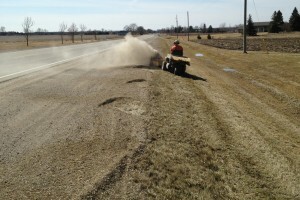 Tine-rake dethatchers remove large amounts of thatch for better root development. Thatch is the accumulation of living and dead grass stems, leaves and roots at the base of your lawn. 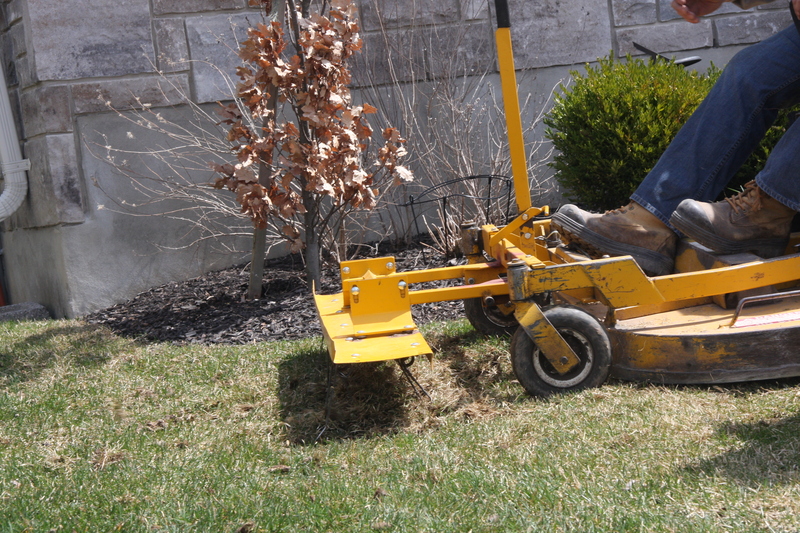 Every lawn produces thatch, and needs the right amount of it for strength and flexibility. Too much thatch, though, can choke your lawn and should be removed. 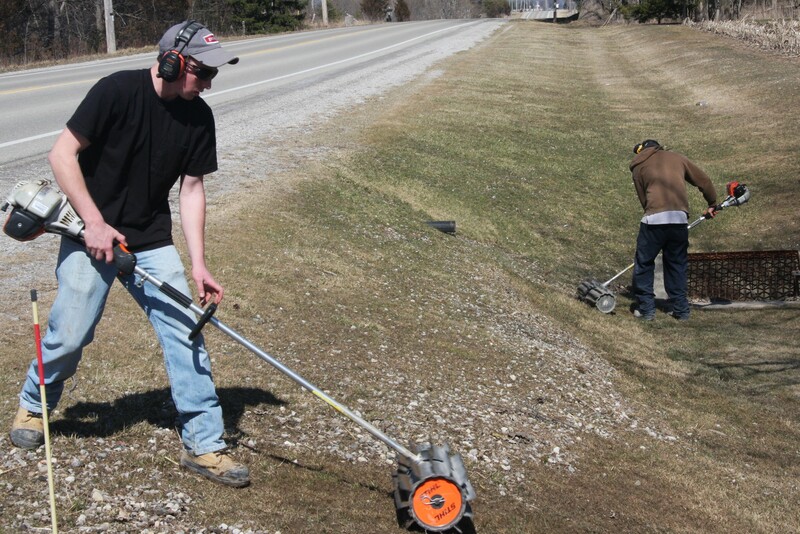 Our power-raking equipment makes short work of too-deep thatch, and restores proper lawn health and vigor. 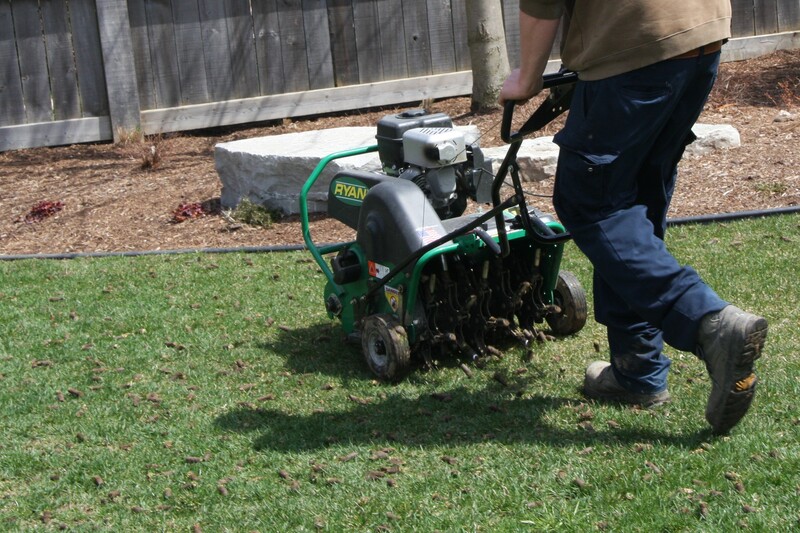 Core aeration removes plugs out of the soil to allow water and air to reach the roots to produce healthier lawn. It loosens the soil so the grass roots will be able to grow deeper to access nutrients and oxygen, which are otherwise unavailable. Aeration is one of the best services you can do for a healthier lawn and can be done every year. 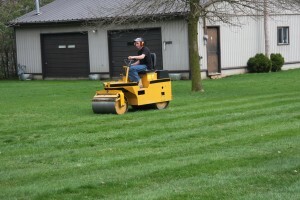 Lawn rolling smooths frost heaves and uneven turfgrass made by moles and earthworms. 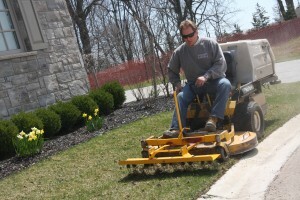 However, continuous lawn rolling does compact the soil and roots, therefore aeration is optimal to relieve the compaction. Fertilizing is important to overall grass health, it provides the nutrients for a healthy, thick lawn that out-competes weeds. When your lawn develops thin or brown patches or is damaged, the solution is often a careful over-seeding of the damaged area. While this seems simple, matching grass types with your existing lawn and choosing special seed mixes for areas subject to salt damage or shady locations requires expertise. We can choose the correct seed combinations to fix lawn damage and make the repair blend seamlessly into your healthy lawn. 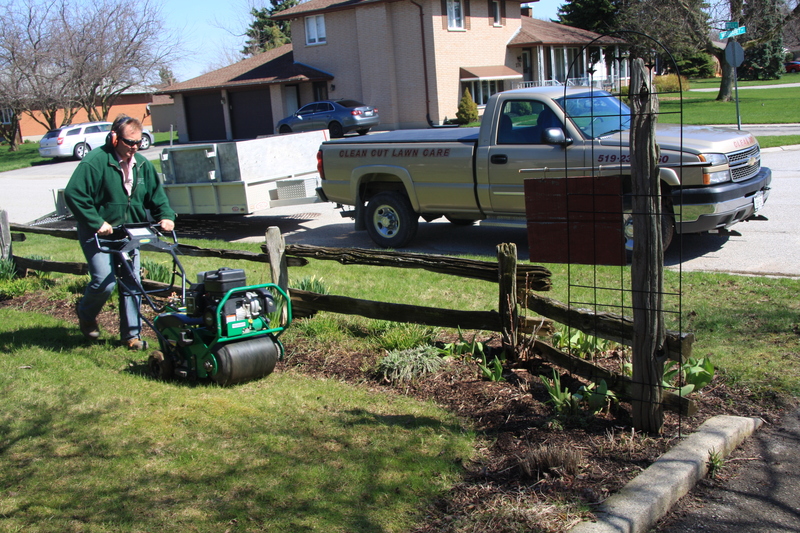 We tailor our services to meet your needs when it comes to garden services. 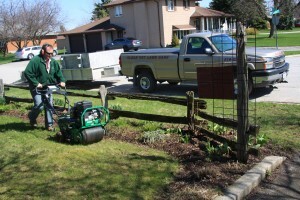 We will plant your flowers, remove weeds and edge your gardens and apply mulch/topsoil/compost to your garden. Applying mulch to your flower beds is a good gardening habit. Mulch inhibits weed growth, holds in soil moisture, and moderates soil-temperature fluctuations. In hot-summer areas, it helps keep plant roots cooler In cold-winter areas, mulching protects plant roots from winter cold and helps prevent frost-heaving, in which plants are literally pushed out of the ground by the natural expansion and contraction of the soil as it cools off and heats up.